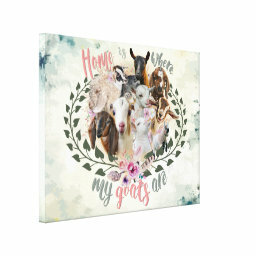 Goat Breeds Painted Portraits of 10 different goat breeds – A collection of 10 different goat portraits, each one painted separately and then arranged in a group to make this beautiful collage of goat breeds to please any goat owner, goat breeder or goat lover. 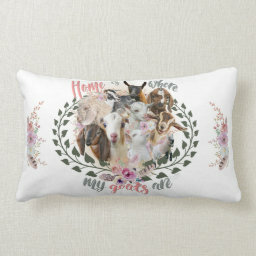 The backgrounds on some of the products are watercolor painted backgrounds digitally reproduced to set off the goat portrait collage in an artistic light. 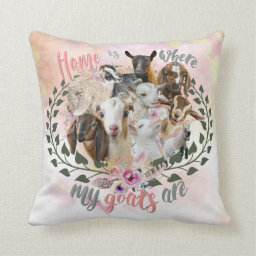 we offer many items to add to your home decor- if you would like to see something we do not yet offer – please let us know using our contact form – and we will do our best to accommodate you! 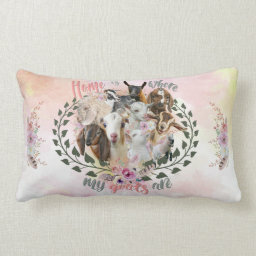 This entry was posted in goat gifts, goat t-shirts and tagged Angora Goat, beautiful goats, best selling goat art, Boer Goat, bohemian art, boho, floral, GetYerGoat, GetYerGoat goat gifts, goat, goat breeds, goat duvet cover, goat fine art, goat home decor, goat lover, goat painting, goat pillows, goat saying, goat shower curtain, goatlady, home is where my goats are, lamancha goat, nigerian dwarf goat, nubian goat, oberhasli goat, original goat art by goatlady, paintings of goats, Pygmy Goat, pygora goat, saanen goat, toggenburg goat, watercolor background on March 22, 2017 by goatlady.